Itineraries are simply an indication of what’s possible. Our team will tailor any program to suit your requirements, travel dates and budget. Get in touch with us! 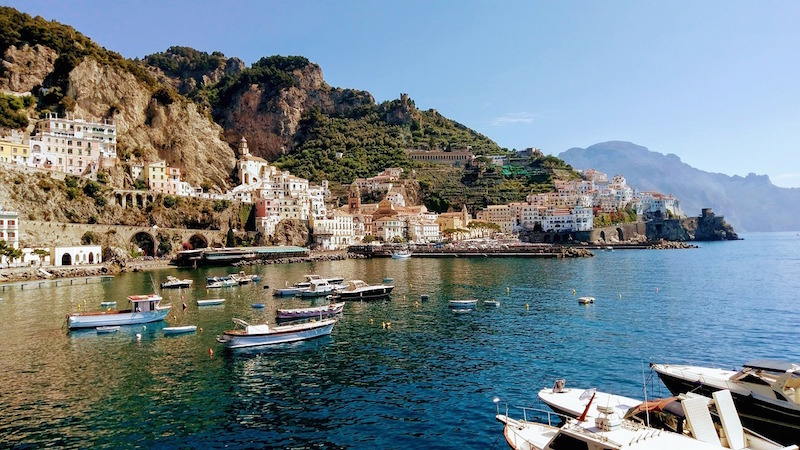 Like all famous trios, Rome, Florence, and Venice exist in a universe of perfect symmetry, three glorious cities where you can feel the whole of Italy in every glorious step. They are the cities that invented the European tour, the places that have inspired countless stories and songs, the must-see locales of any would-be global traveler. They are, without a doubt, the most famous trio in travel: and it’s time for you to experience them for yourself on this private tour of Rome, Florence and Venice. Upon arrival, meet your private driver at the airport and transfer to the hotel. Today, visit the world’s smallest country and the centre of the Catholic World – City of Vatican. In the afternoon, start exploring the Baroque Rome sites. Discover the monuments and the palace of the Baroque period: Piazza Navona, the Pantheon, the Trevi Fountain and Piazza di Spagna. Today, meet your guide at the hotel lobby before starting the day. 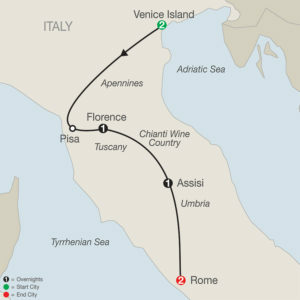 Learn about Rome’s ancient civilization. 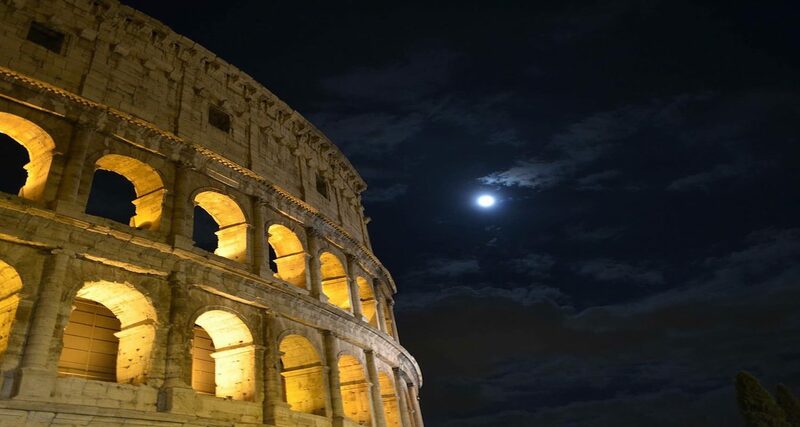 Start your walking tour and visit the Roman Forum, the world’s most extensive single site of Roman ruins, the Roman Colosseum, as well as Palatine Hill for a panorama view of the heart of Ancient Rome. Check out and you head towards Siena one of the country’s loveliest and best-preserved medieval towns, where the stolid walls and winding cobblestone lanes evoke an Italian past filled with the amorous stanzas of Tuscan sonnets and the joys of rustic elegance. Walk the famous Il Campo in the heart of Siena, the site of the twice annual Palio, one of the most famous horse races in Europe, before setting out for a bucolic and scrumptious lunch at a nearby farmhouse, surrounded by grape vines and olive trees and the comforting warmth of Italian smiles. Today, proceed for your historical walking tour. Start from Repubblica square – the heart of the city, to Palazzo del Bargello (exterior visit only) and Piazza della Signoria, where sculptures beckon. Continue to Santa Croce Church (Basilica of the Holy Cross) and the Accademia Gallery, to view the famous Michelangelo’s masterpiece: The David. Your final stop will be the Piazza del Duomo. Marvel at the vast Cathedral before stepping inside to admire the interior’s intricate Gothic details. Free day to explore Florence. Search for truffles with a truffle-hunting dog through the woods of Tuscany. Follow the dog hurriedly through the forest as he sniffs about and experience the surge of excitement as he starts digging for this edible treasure (white truffles go for nearly $15,000 per kg). Once it is found, you will be treated to a delightful meal that incorporates the truffle that you just discovered! After lunch, make your way through the scenic Tuscan landscape into the region of Chianti. Here you will have the opportunity to experience what is arguably Italy’s most renowned wine, Chianti. Your guide will teach you everything you need to know about the process of wine making and the techniques involved in attaining a better appreciation of the wine through the tasting. The first stop today is Verona – the famous story scene of “Romeo and Juliet”. Admire the many monuments, the inside courtyards, the beautiful buildings and also the hidden spots and streets. 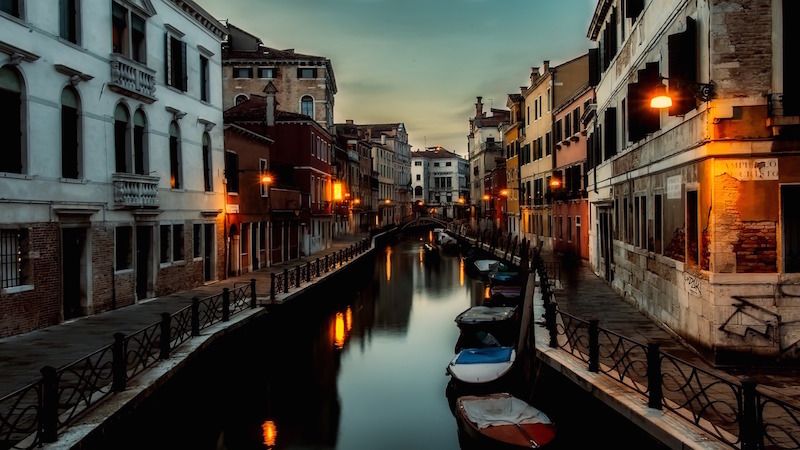 Arrive Venice and have a guided walking tour in the afternoon around the famous historical sights of Venice, such as St. Mark’s Square, the Basilica and its interior, and the Bridge of Sighs. Visit the Doge’s Palace, to learn about the power of Venice in the past. Gondola Rowing Class: Glide through Venice’s prettiest canals as you learn how to be a Gondolier! Venetian Mask Making Class:Learn the craft of mask making from a skilled artisan and hear amazing stories of the Carnevale’s history. Have fun painting and decorating your mask!